After a fruitful growing season filled with large, plump strawberries, a gardener’s work with the strawberry plants is not over. Strawberry plants create the future buds for the next growing season’s flowers at the end of the current growing season. For this reason, it is imperative that you protect the strawberry plants from freezing winter conditions to ensure your future strawberry harvest. Mulch your strawberry plants carefully to protect them when the cold winter winds begin to blow. Wait until the plants are fully dormant before mulching. If you mulch too early while the temperatures are still relatively warm, the strawberry plants may begin to decay under the mulch. Mulch right before the overnight temperatures begin to drop below 20 degrees Fahrenheit to ensure dormant plants. Lay down approximately 2 to 3 inches of mulch over the strawberry plants. Cover the plants entirely and watch for several days to see how much the mulch settles. If the mulch settles so that it is less than 2 to 3 inches, add more to bring it back up to this amount again. Remove the mulch next spring when new plant growth begins. Carefully rake off the mulch from the plants and place the mulch so that it surrounds the plants. This will provide weed control and will help insulate the plants if there is a cold snap during the spring. This mulch layer also helps keep the strawberries from contacting the ground when they begin to grow. 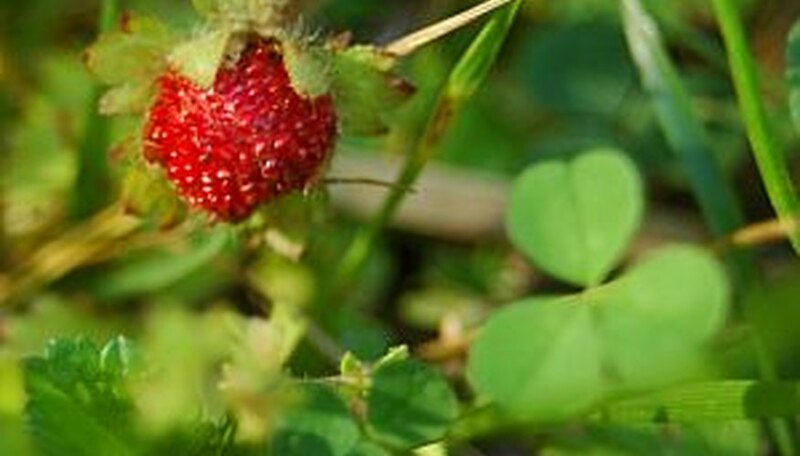 A dormant strawberry plant can be hurt by temperatures under 15 degrees Fahrenheit. Do not mulch strawberries with shredded leaves or grass clippings. These mulches are too heavy and will prevent the plants from having enough ventilation. Why Do My Strawberry Plants Not Produce Strawberries?